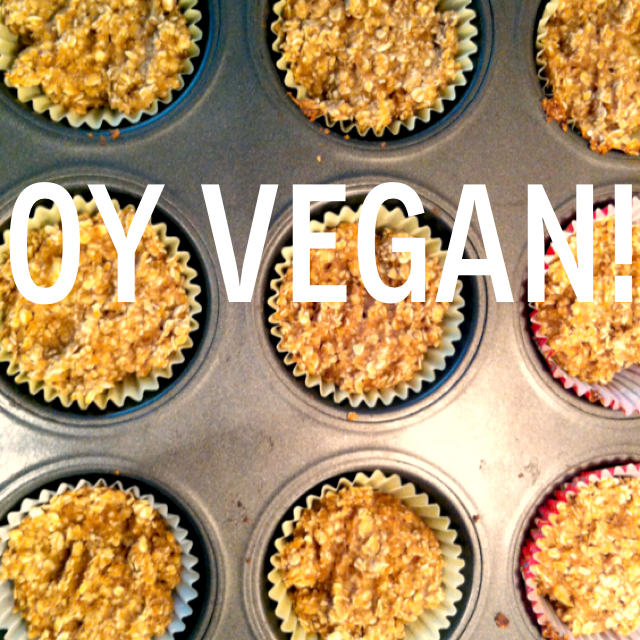 Banana Oat Muffins - Oy Vegan! 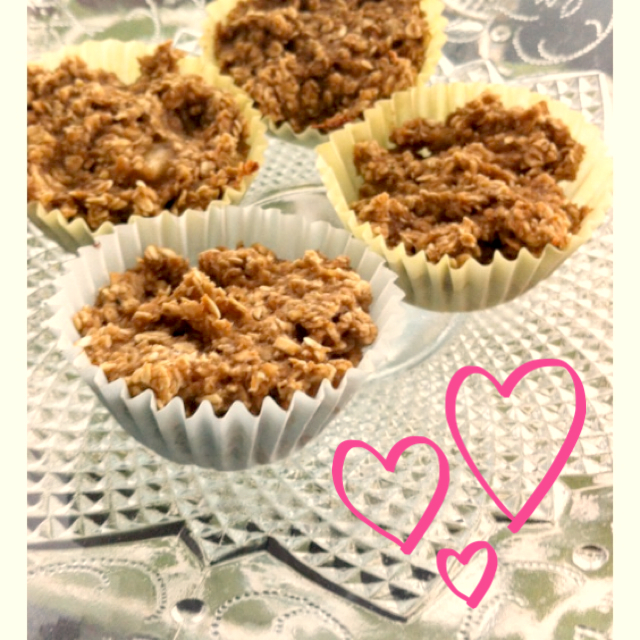 By jamie on May 23, 2013 in Recipes! 2. Mix all the dry ingre­di­ents together in a bowl. 3. Blend banana in a food proces­sor until smooth. 4. Mix banana, and the rest of the wet ingre­di­ents together in a sep­a­rate bowl. 5. Add wet mix­ture to dry mix­ture and com­bine. Fold in choco­late chips if using. 6. Fill muf­fin tins 2/3 of the way full. Bake for 15 min­utes or until golden brown and a tooth­pick inserted comes out dry.